When you consider all of the reasons an architect chooses an insulation board, FlexxBoard25 comes out on top! 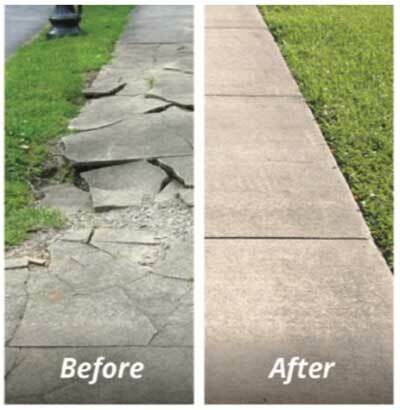 Frost Protection that Bonds to Concrete! 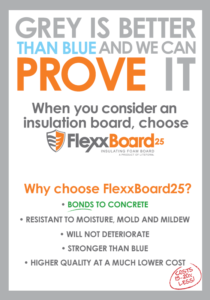 FlexxBoard25 bonds itself to concrete resulting in a stronger more durable insulation. The foam will not rot or deteriorate when exposed to natural elements. Competing colored foam boards (Extruded Polystyrene) because of it’s smooth finish is known to separate from concrete. This will ultimately diminish r-value and result in the need to replace the concrete in the future. Our highly experienced estimating staff will assist you with your building plan to ensure you the most cost effective alternatives to an all concrete home.